20 swiss francs (18 euros) for a little salad and a bottle of water. I knew life was expensive in swiss but damn, not that expensive! So here I am in Switzerland, in Bern exactly, for a few days. And, not surprisingly, I didn’t see any backpacker. For those who travel on a budget, it’s pretty simple, you can skip Switzerland. Of course, if you want to indulge yourself and if you have the money, do not hesitate! Not only the city is stunning, but people there are really nice! From what I heard, in swiss, Bern is known for being the city where people are reaaally relaxed, kind of slow… Slow I’m not sure, but I can tell they are way less agressive than people in Paris. Relaxed yes, well-mannered too (cars stop to let you cross the street, people start conversations with you in the bus…). A little disconcerting at first, but you quickly get used to it! There are four official languages spoken in switzerland, depending on the region : German, Italian, French, and Romansh. Bern is in the German part, but they almost all speak french too, with their “Swiss German” accent, which is funny to hear at first but again, you get used to it. Wandering around the streets, we can see different things. I was first surprised to see that there was a lot of people from Eritrea and Sri Lanka. 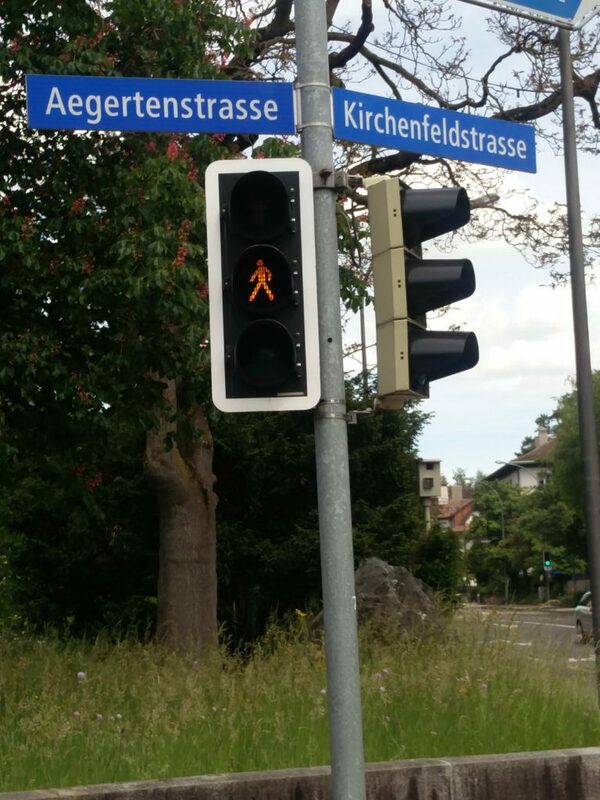 I would have pictured them anywhere in the world but not in Switzerland ! In the streets, a lot of fancy cars can be seen (a lot of Tesla, Porsche, but also Bentley, Audi, BMW, Benz…). There’s money in the bank ! Also a lot of bikes. People usually use their to get around… After two good days walking around in Bern, I realized I saw it all. Bern is not really a big city. But there’s still some nice spots to check. Just for its spellbinding architecture and for the parks, Bern deserves to be visited for a few days. There’s a lot of predestrian precincts and it’s pleasant to take a walk in the old town. Actually Bern is a walkable city. Trams and buses are all over the city, and they pass by on a regular basis. A few days spent quietly, to set out this journey peacefully. 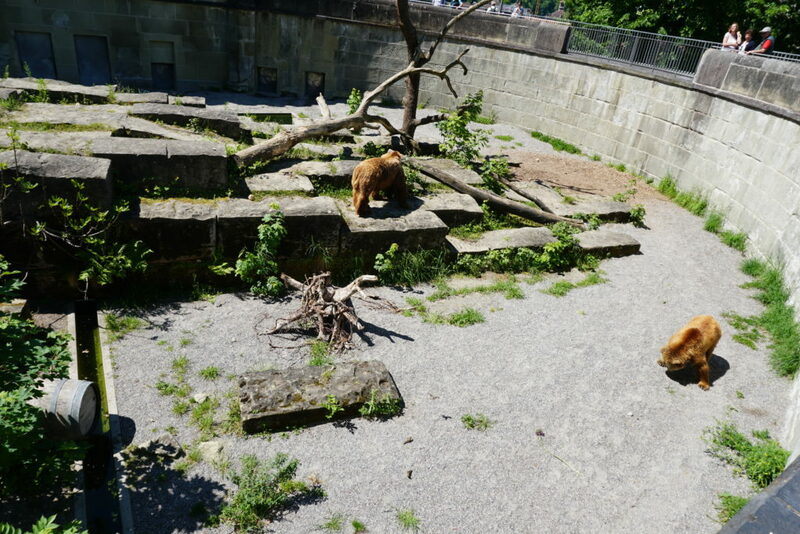 A BIG thank you to Frank and Ursina who warmly hosted me during my stay in Bern. Wanna go to Switzerland? The country is safe, but don’t leave home without a travel insurance! You can get in Bern by train, by plane or by bus if you’re already in Europe. If you plan to travel in Switzerland, get a travel guide ! Accommodation is expensive in Bern and in Switzerland in general, compare the hotel rates on HotelsCombined! The Rose Garden (rosengarten) on the hills. From there you have a stunning view of the old town. In this garden, you can find a restaurant, a park where little children play around and flower lovers will enjoy all the different types of roses and iris. Bernisches Historisches Museum and its exhibitions. Swimming pool Marzili, an outdoor pool. Gurten, reachable on a ride in the red carriages of the funicular railway. 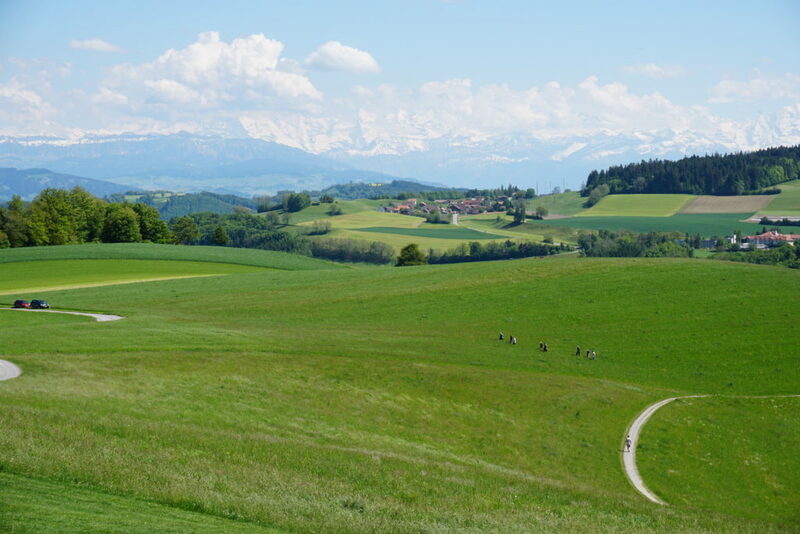 From there, you get an astounding view over Bern and the Alps. Bern Bear Park, where lives a bear family. Other activities might interest you.